Santa Cruz native Cody Townsend was selected in mid-January to captain Team Americas, which will face Team Europe, for the 2013 Swatch Skiers Cup in Zermatt, Switzerland. The competition, scheduled to be held Feb. 10-15, pits some of the best big mountain, free skiers and slopestyle athletes against each other. 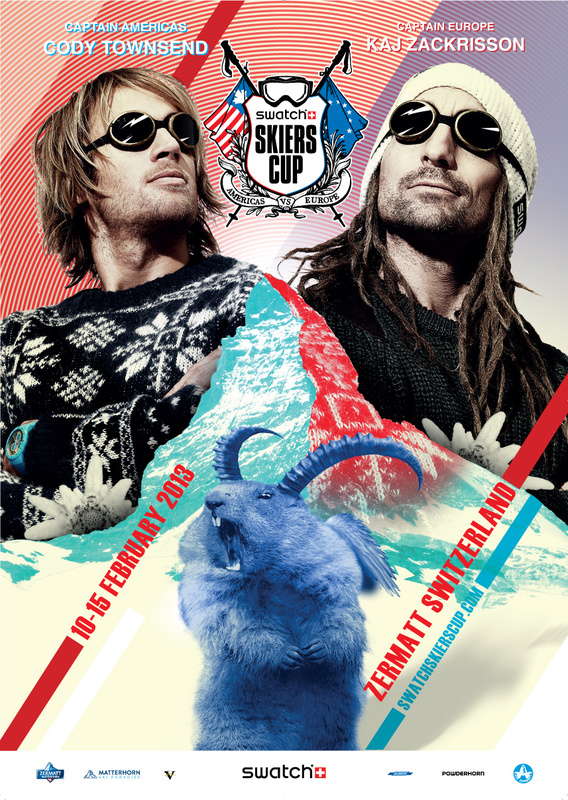 This will be the third annual Skiers Cup and first held in Europe. Townsend will lead teammates KC Deane, Rory Bushfield, Charley Ager, Logan Imlach, Timy Dutton and Josh Daiek, with an eighth rider to be announced. Together, they face the Team Europe skiers: Captain Kaj Zackrisson, Markus Elder, Paddy Graham, Richard Permin, Sverre Liliequist, Nicolas Vuignier, Fabio Studer, as well as an eighth to be announced.